Excellent for use with urethanes, varnishes, and enamels. 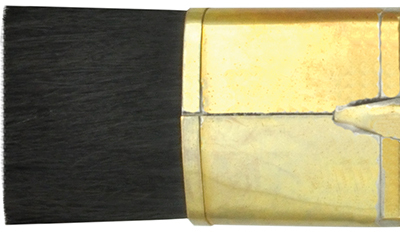 Sizes Available: 1", 1 1/2", 2"
Extra soft natural hair brush perfect for blending and softening faux finishes. 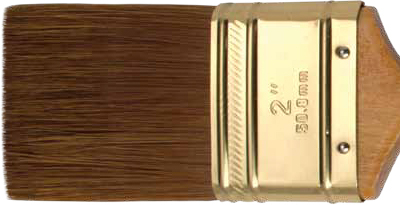 Sizes Available: 1/2", 1", 1 1/2", 2", 2 1/2", 3"
Natural ox hair brush excellent for watercolor. The long full shape performs as well on the wide side as it does on the narrow. 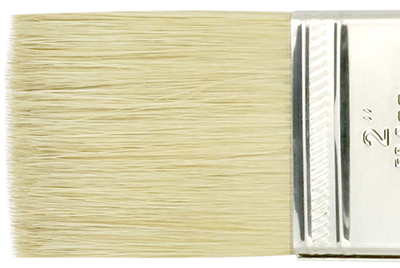 Nylon gesso brushes hold their shape, offer better control and leave a smoother finish. 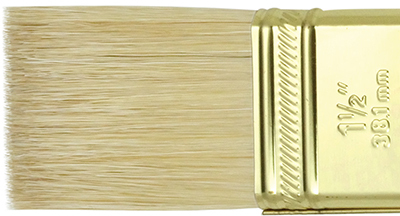 Sizes Available: 1", 1 1/2", 2", 2 1/2", 3", 4"
Sizes Available: 1", 2", 2 1/2"
Excellent quality sash brushes made with the finest white bristle. They vary in length for smooth flow and application of paint. The tipped ends offer more control. Great for varnishes, laquers, and oil-based paints. 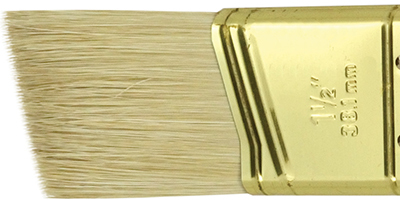 Sizes Available: 1", 1 1/2", 2", 2 1/2", 3"
Pure bristle brush that is deal for gesso, varnish, or glazing. Sizes Available: 1", 2", 2 1/2", 3", 4"
Finest quality professional tool for sign painters. Nickel-plated ferrules.